If you are committed to making homemade donuts for your family, invest in a quality deep fryer. They make amazing products these days at very affordable prices. We chose the following model and have been very pleased with it. For under $100 this product is easy to use, maintains an even temperature and has a filter system that makes for easy changeout of the oil. We tried an air fryer first- thinking it would be healthier but what a disaster. I noticed there were only a few recipes for donuts in the air fryer cookbooks and I quickly learned that air fryers are not the best way to fry a donut. And actually if you have the temperature constant and fry the donuts for the suggested time- I was amazed at how little oil was actually used. Many of the donut recipes I looked at suggested that you could use a heavy metal pot with a candy thermometer. I tried that method several times and just found it too difficult to maintain the temperature for that perfect donut. Secondly, be patient and know that it does take a little practice to achieve that quality, perfect donut! I have tried many different recipes over the summer and they all have come out well. 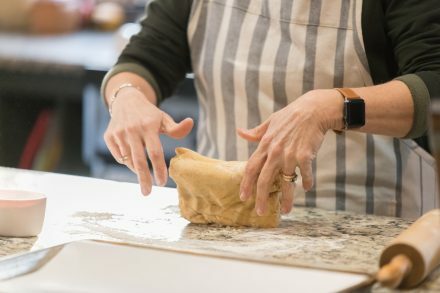 (truth be told-in the beginning I found peace of mind by having back up scone dough in the freezer in case my donuts flopped:) Happy to report that I never had to use the scones. 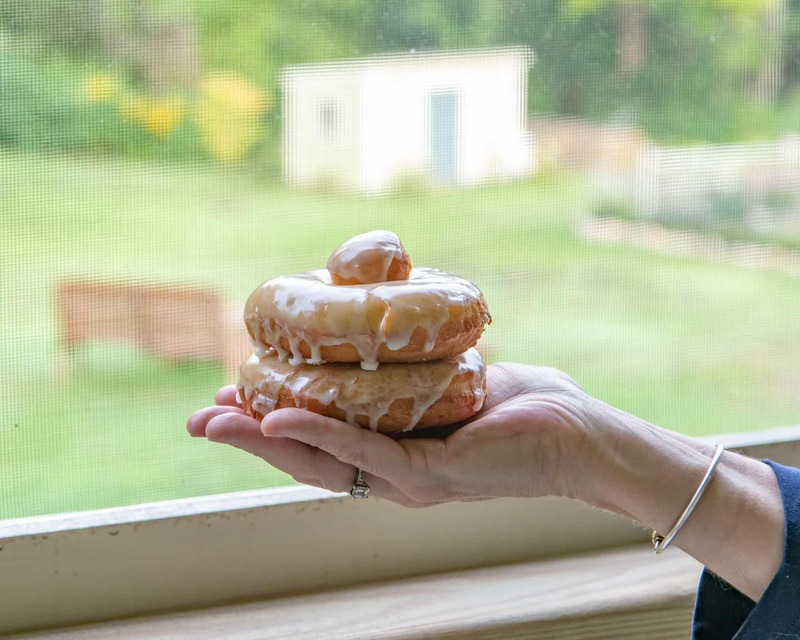 One reader asked for this recipe of the Raised Glazed Ring Donuts and I wanted to share that recipe today on our blog as I think this recipe is probably our favorite. It is fairly easy to make, part of the recipe can be made the day before and we think just about everyone loves this type of donut. You can also check out a previous blog for the recipe for an Orange pistachio cake donut that we made earlier. Place the sifted confectionary sugar in a glass bowl. Add the corn syrup, salt and vanilla. Place the water with the granulated sugar in a pan on your stove top and whisk well on medium heat until is comes to a boil. Then reduce the heat and simmer for one minute. Add to the sugar and whisk well. Turn your deep fryer on to 350 and place the oil to the minimum level. 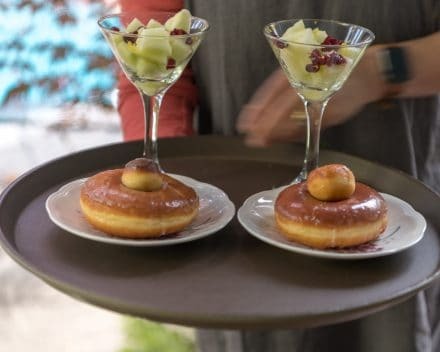 Remove the donuts from the oven and place the glass bowl with your glaze in the pan you already used in the oven with hot water. By keeping the glaze warm in a water bath, it will not harden while you fry the donuts. When the donuts have doubled in size, carefully place a few in the oil. Make sure they do not touch. Now start counting- 30 seconds for the first side, turn over with a slotted spoon and fry for another 20 seconds. Make sure to not over fry. Transfer to a cooling rack lined with paper towels. Cook the donut holes and turn as needed. While the donuts are still warm dip one side in the glaze. Let dry on cooling rack, glazed side up. 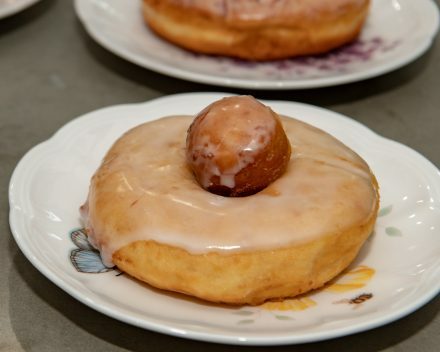 We like to serve the donut with the donut hole on top. That way you can get a perfect one bite and eat the rest of the donut at your leisure. 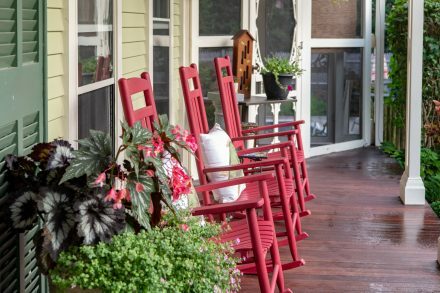 Come relax with us on our front porch. September and October are the perfect time to visit Cape Cod. Our pool is still open, the weather still warm and most of our favorite restaurants still open. 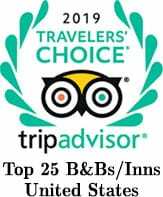 Come stay with us at our Cape Cod Bed and Breakfast and see what all of the excitement is about. 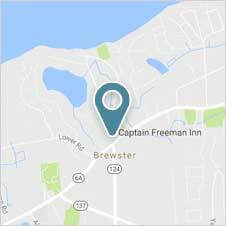 The Captain Freeman Inn is the absolute best place to stay during your getaway to our little slice of heaven on Cape Cod. Happy donut making and always feel free to call the inn (508-896-7481) if you have any questions about the recipe. This one is mighty special and a perfect choice when the family comes home and you want to surprise your loved one with something memorable.